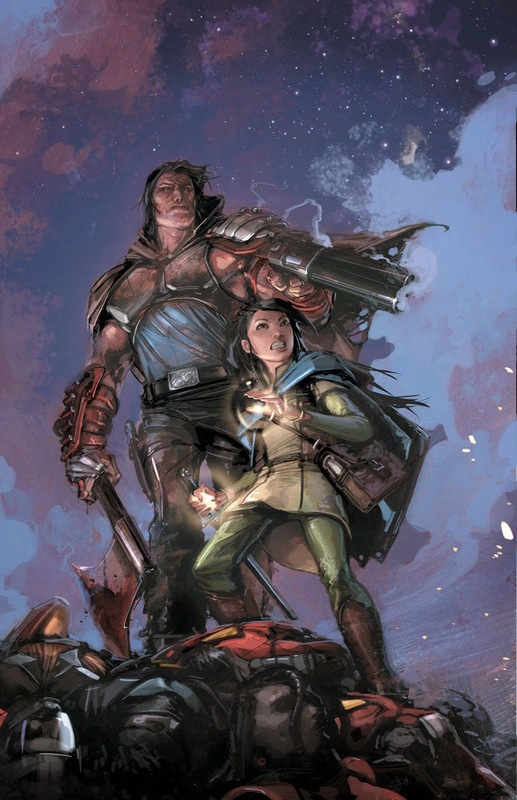 Fellowship Previews: BOOK OF DEATH #1 – Venditti, Gill and Braithwaite Reveal Valiant's Future in the Blockbuster Event of 2015! 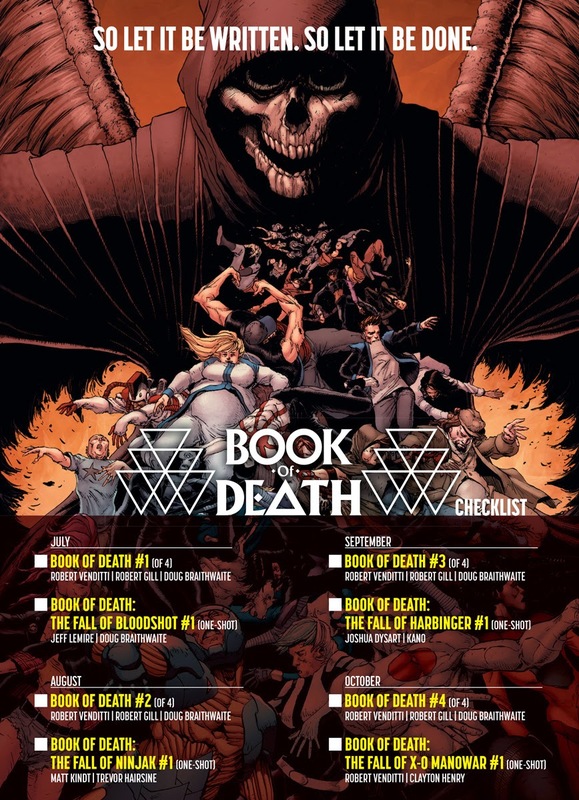 BOOK OF DEATH #1 – Venditti, Gill and Braithwaite Reveal Valiant's Future in the Blockbuster Event of 2015! Valiant is proud to announce BOOK OF DEATH – the epic new Valiant event of 2015! 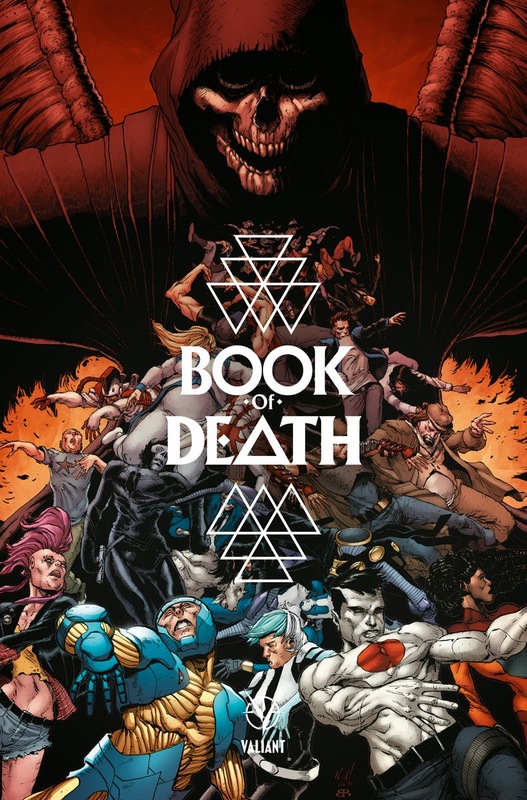 Beginning with in July with BOOK OF DEATH #1 (of 4) from New York Times best-selling writer Robert Venditti (X-O MANOWAR, Green Lantern), superstar-in-the-making Robert Gill (ARMOR HUNTERS: HARBINGER,Batgirl) and visionary artist Doug Braithwaite (ARMOR HUNTERS, Justice), BOOK OF DEATHcontinues throughout the summer with four standalone one-shots from an all-star cast of Valiant's top talents! Colliding the next two thousand years of history against the most powerful heroes of today, the summer's must-read comics event starts here in July as a new Geomancer emerges to build a bridge to the future of the Valiant Universe! "In the tradition of Valiant's original RAI #0, BOOK OF DEATH is going to reveal glimpses of the future of the Valiant Universe and, with it, many of the monumental events and occurrences that our heroes will face," said Valiant CEO & Chief Creative Officer Dinesh Shamdasani. "Major characters will die, while others will be introduced for the very first time. The loves, the losses, and the betrayals that await our biggest characters…it all starts here. 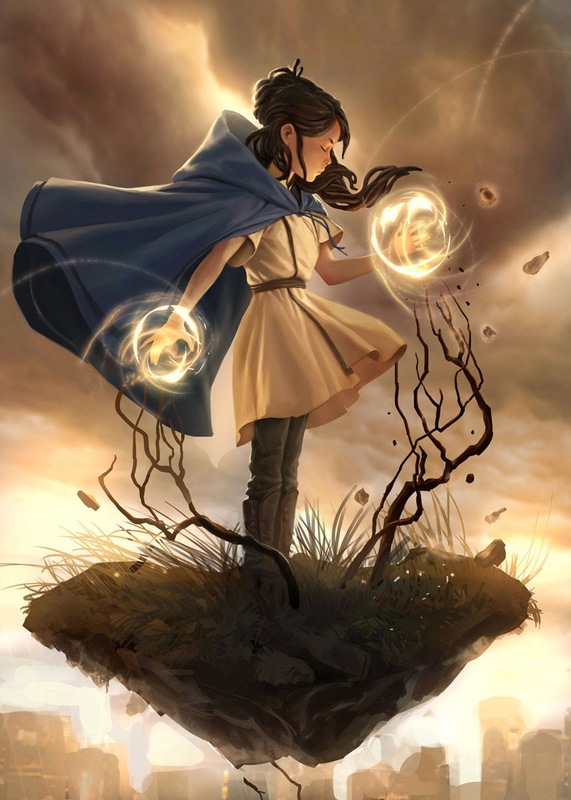 For the Geomancer, this future has already happened and, in each issue, we will see more of the events that shaped her life revealed. 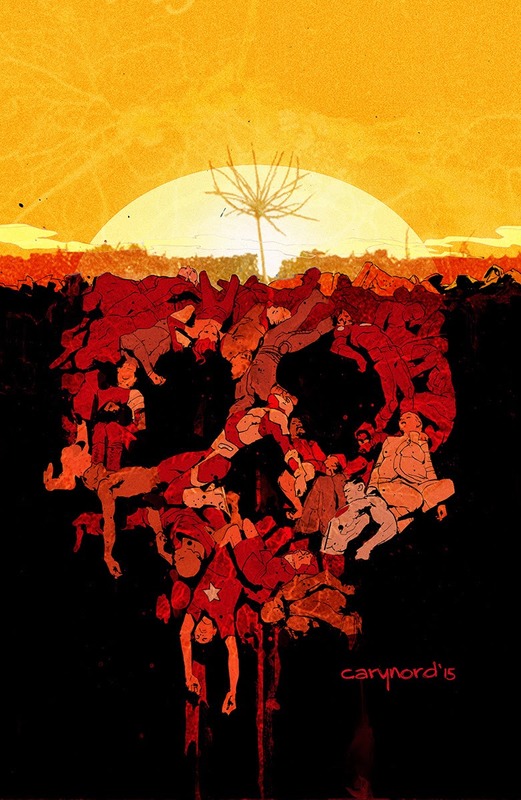 BOOK OF DEATH will have an immediate impact on not only the stories that follow it in 2015, but on the next decade of the Valiant Universe as well." "In just a short time, I think Valiant has built a reputation for creating some of the most well-received comic book events in the industry today. HARBINGER WARS… UNITY… ARMOR HUNTERS… THE VALIANT… These are all stories have been huge hits with fans, retailers and critics alike, but BOOK OF DEATH might just be the biggest, most game-changing event we've attempted to date," said Valiant Editor-in-Chief Warren Simons. "Much of the conversation at the Valiant creative retreats helped formalize the ideas behind BOOK OF DEATH and hammer out the colossal impact that the Eternal Warrior and new Geomancer will soon have on the landscape of the Valiant Universe. BOOK OF DEATH will be the ultimate peek at the future of the Valiant Universe and it's only fitting that we bring as many major Valiant creators into the mix as possible." "BOOK OF DEATH is a story that's been in the works for a long time, and I'm looking forward to showing readers what we have in store for them," said writer Robert Venditti. "Last summer's ARMOR HUNTERS event was so much fun to write, and, while this story will have a much different focus and tone, our goal is to deliver the same level of action, character, and universe building. The Eternal Warrior and the Geomancer are such great high concepts to work with. We're going to reveal exactly what it means to be the Fist and Steel of Earth and provide an epic showcase for not only the Eternal Warrior, but all of Valiant's heroes present and future." The blockbuster Valiant event of 2015 begins in BOOK OF DEATH #1 (of 4) – featuring covers by Robert Gill (ETERNAL WARRIOR), Cary Nord (X-O MANOWAR, Conan), Clayton Crain (RAI, X-Force), Jelena Kevic-Djurdjevic (Thor), Pere Perez (ARCHER & ARMSTRONG), and Paolo Rivera(THE VALIANT, Daredevil)! This July, join Valiant superstars Robert Venditti, Robert Gill, and Doug Braithwaite as they begin a thousand-year journey into the future of the Valiant Universe…and rain, fire, blood and war on the heroes of today, only in BOOK OF DEATH #1 (of 4)!